Buy Truck Bed Tents Blog: Let's Visit Branson!? 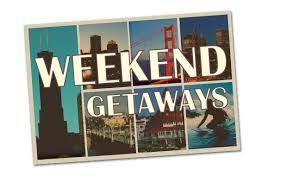 It's all about weekend get aways and since I live in Missouri-- Branson is where we go. Branson has so much to offer for the average person. Camping water activities, shopping, fishing, entertainment and Silver Dollar City amusement park. But when I read this article about a road trip to Branson I learned that Branson isn't for every one. This story made me smile as I thought about weekend trip in Missouri, it really is a unique place, but not for everyone. If you are in Missouri or even someplace other than Missouri you might consider a trip to see what some of us love and enjoy about our state. We have four larger cities that make great getaways, Kansas City, St. Louis. Columbia and Springfield. Also, the home place of Mark Twain in Hannibal. Just remember that any kind of weekend getaway, no mater where you go can be a great way to just relax and enjoy new sights and sounds and spend time with family.